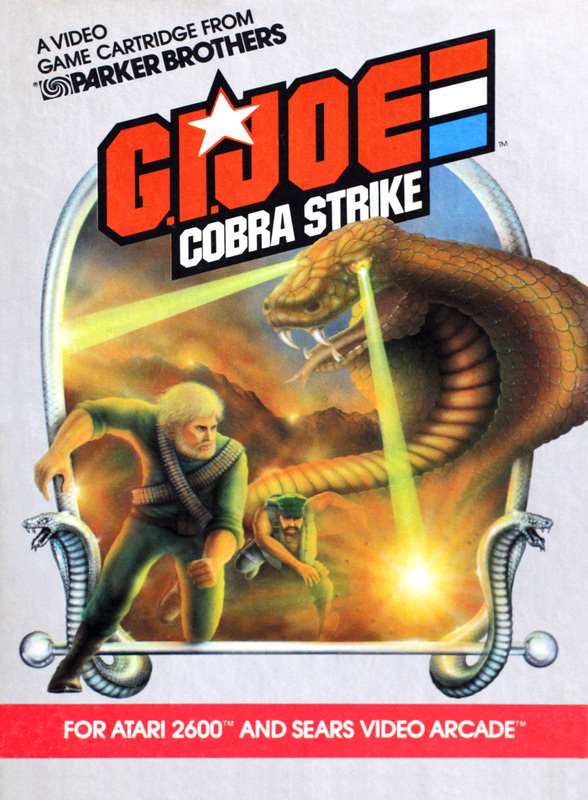 G.I.Joe: Cobra Strike for Atari 2600 and Sears Video Arcade. Photo courtesy of Justin Wilson. 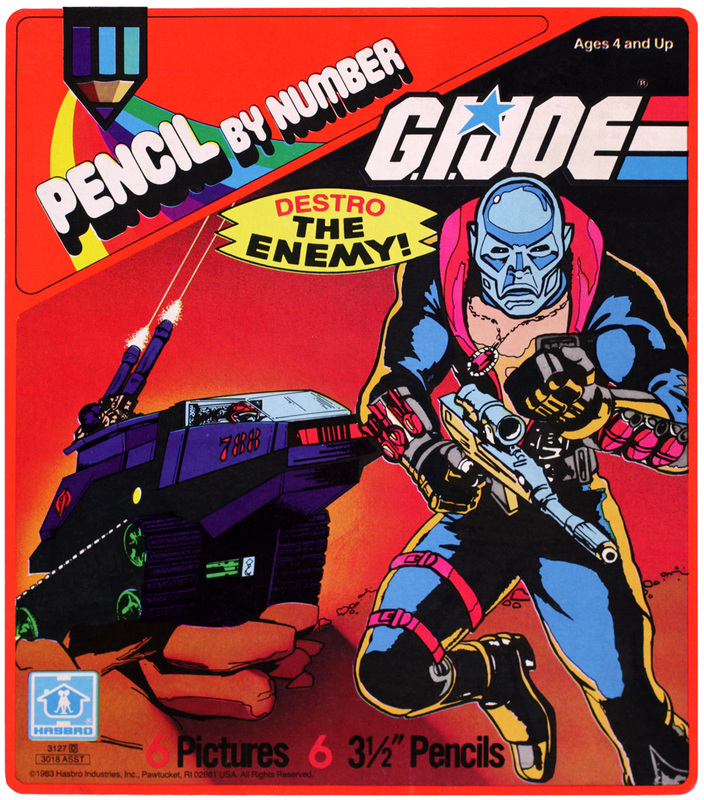 Pencil by Number photo courtesy of Justin Wilson. 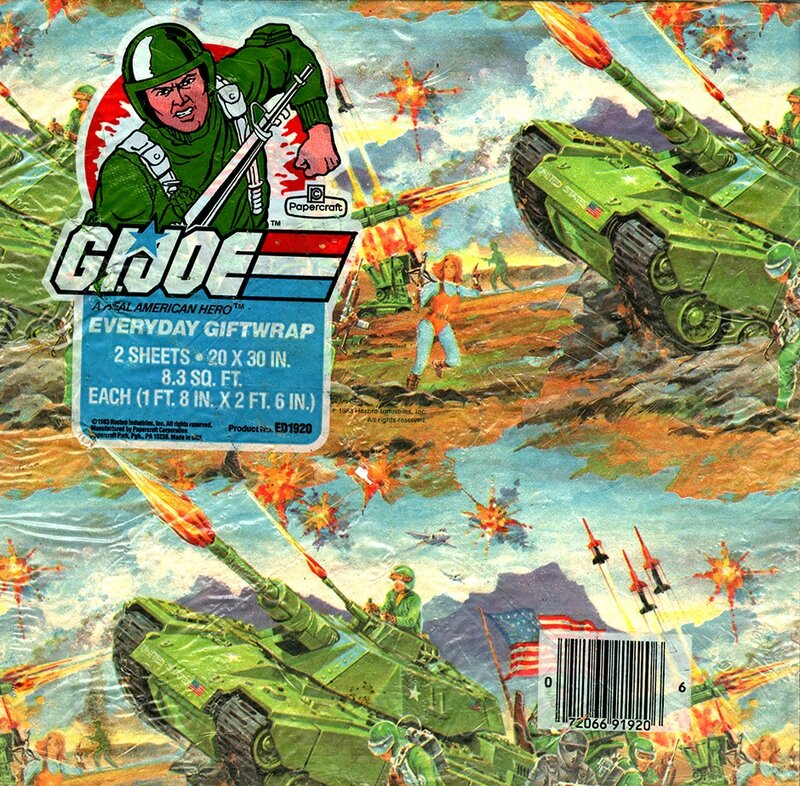 Several types of wrapping paper were released in 1983. Type 1 and 2 featured marker recreations of figure card art and vehicle box art. 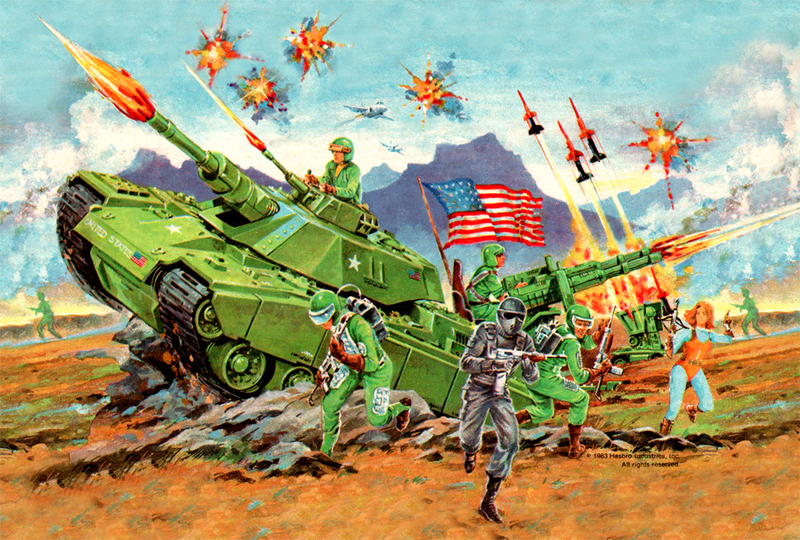 Type 3 features a more unique illustration, not found anywhere else. Roll over the images below for more information, or click to enlarge. 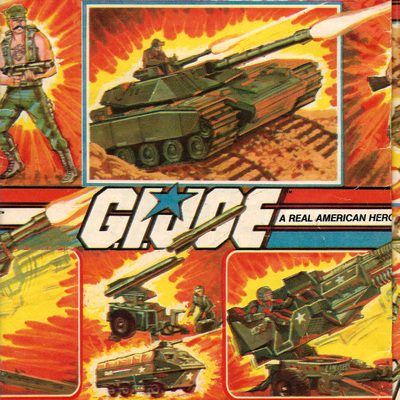 1983 wrapping paper type 1. Scan courtesy of Dan Moore. 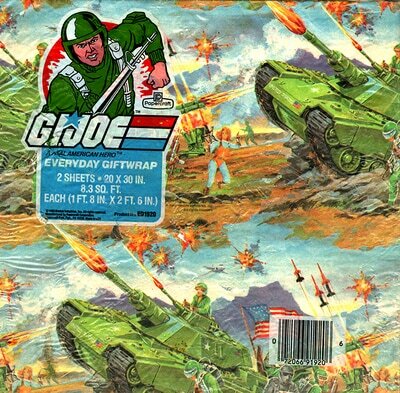 1983 wrapping paper type 2. Scan courtesy of Dan Moore. 1983 wrapping paper type 3, seen here mint in bag (MIB). 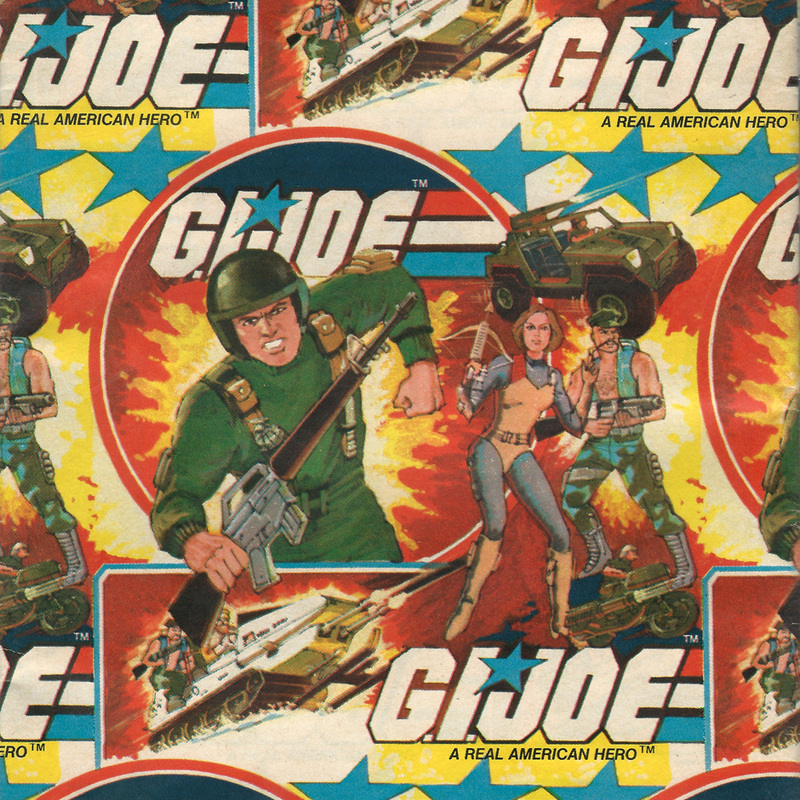 The image below was edited by Chad Hucal to make it a standalone image, rather than the repeating pattern found on the original.